Black Hole Crew: Okkultokrati - Haust: HAUST/OKKULTOKRATI - 7" split out soon! HAUST/OKKULTOKRATI - 7" split out soon! So the cat is out of the filthy, stinking Christmas bag. Yes, Haust and Okkultokrati are releasing a Christmas single. The darkest holiday of them all deserves a fitting anthem. 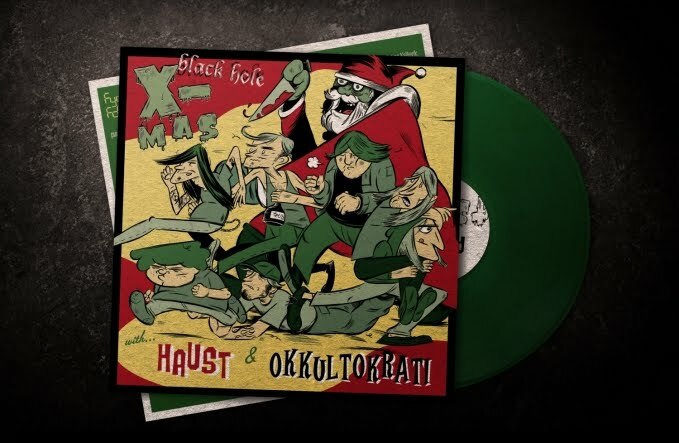 So in the tradition of the Ramones, King Diamond and Poison Idea and many other greats, Fysisk Format will release the very special "Black Hole X-mas" seven inch single this November 25th. Cover and design by comic book artist Esben S. Titland (who also did the cover for Haust's "Ride the Relapse" CD). 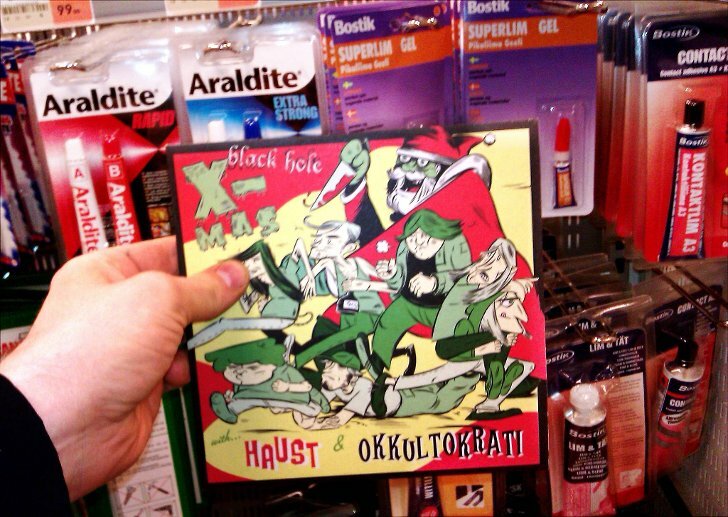 This year it's not the grinch, but the misantropic noisepunks Haust and Okkultokrati who steals christmas. "No Jesus Christ / No Santa Claus / No Christmas tree / Just you and me" No fun. No mosh. No trends. No core. No Christmas. Or maybe "No Christmas, No fun" as the songtitles say. Anyway. If you're looking for fun, you've come to the wrong place. Welcome to the blackest woods of Norway, and the blackest christmas ever. Even blacker then in Bob Clark's 1974 classic slasher. This 7" is for the kids of the black hole. It's for the deviants and the perverts. For the freaks, faggots, drunks and junkies. It's for everyone who feels alienated by this tradition and want something else. Something real. It's for you and me.